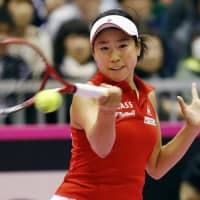 KITAKYUSHU - Japan came within one point of taking a 2-0 lead against Spain, but Misaki Doi was unable to hang on for victory as the two sides split Saturday’s singles in their Fed Cup World Group II tie. Nao Hibino opened the first-round fixture at Kitakyushu Sogo Gymnastic Hall with a straight-sets singles victory. Doi was leading the third set 6-5 with a break point against hard-serving Georgina Garcia-Perez, only to lose the second rubber 6-2, 4-6, 7-6 (7-2). 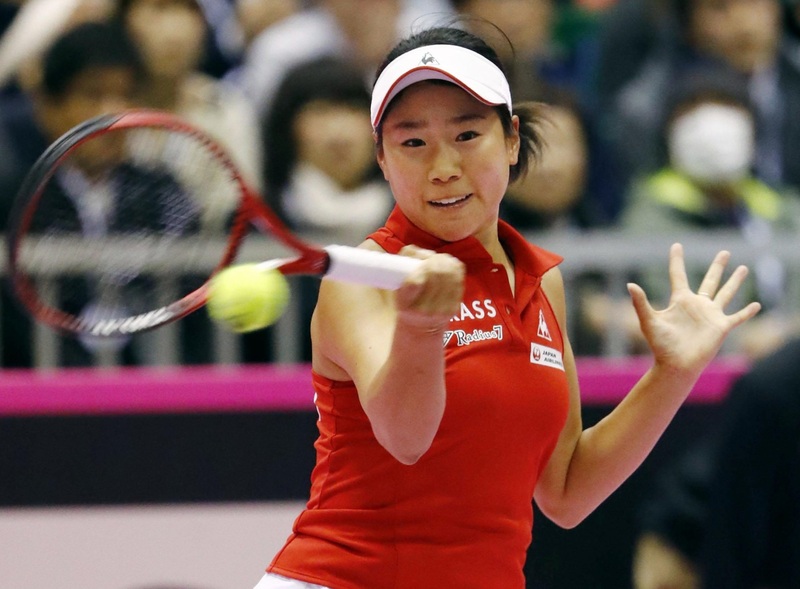 The 123rd-ranked Hibino beat 78th-ranked Sara Sorribes Tormo 6-4, 6-2 in a match dominated by return games. Hibino won six of her seven break points, while Sorribes Tormo had three break opportunities and cashed in on all three. Garcia-Perez, ranked No. 161 in the world, fired 16 aces in her two-hour, seven-minute victory over Doi, with a lot of her serves clocked at 200 kph. The Spaniard then won the first five points of the tiebreak to even the fixture. “If only I’d been able to hold my serve, my chances for victory would have really increased,” said Doi, who had overcome an abdominal muscle injury and was playing in the Fed Cup for the first time in two years. “It’s been a long time to get this much support playing at home. Because of that I so wanted to win,” she said. Sunday will see the reverse singles and the doubles.